Also, Ted Raimi, who was somehow not in season one of Ash vs Evil Dead will also be appearing. Lee Majors is going to play Brock Williams in Ash vs. 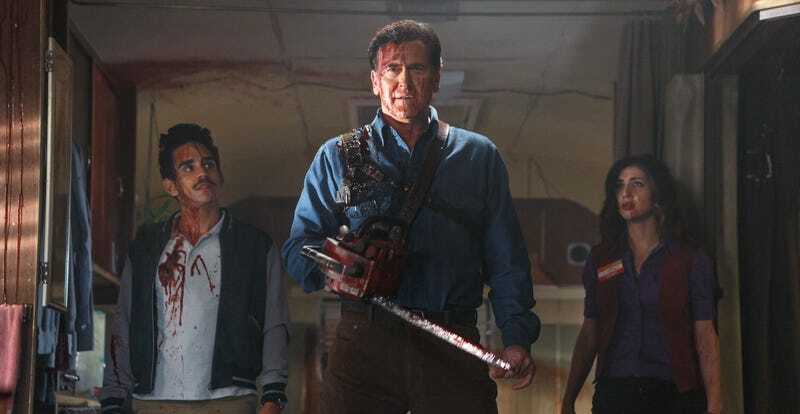 Evil Dead season 2, which I’m sure is going to be a warm family reunion and not a disaster. Also, Brock is exactly the right name for Ash’s dad. Ted Raimi appeared in all the Evil Dead movies, so it’s actually a shock that it took until season two for him to show up in Ash vs. Evil Dead. He’ll be playing Chet Kaminski, Ash’s childhood best friend. I kind of hope that this show goes on for years and Raimi appears as a different character in each season. It would really keep the spirit of the films alive.